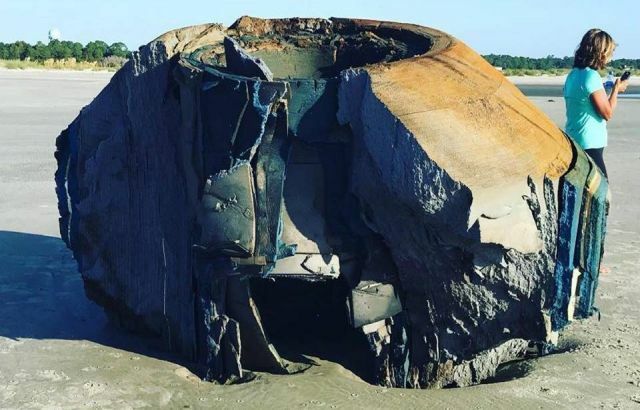 The organization Lowcountry Marine Mammal Network, which is normally called upon to handle sea creatures in distress found a strange-looking and rather sizeable object that had washed ashore on Seabrook Island. According to the group, who posted a picture of the object on their Facebook page the outside of the oddity appeared to be foam. They removed the object away without answering any questions and its current whereabouts are unknown which of course has led to speculation what the object could be. 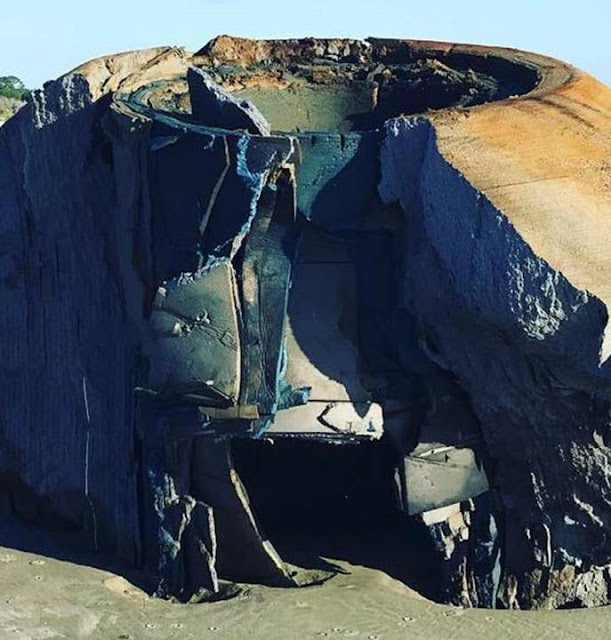 Some people have suggested that it some kind of construction material or a buoy, others suggest it could be space debris or a broken part of a man-made or alien spacecraft. What do you think it is?